I am excited to bring this team together so that we could use our talents to gather all the pieces of our rich history into one location. The initial inspiration was to represent the unrepresented Male Impersonators from the past and to educate the Drag Kings of today. This passion project has grown to include an expansive group of courageous women who have donned male attire for the stage. Cheers to all the pioneers past, present and future! 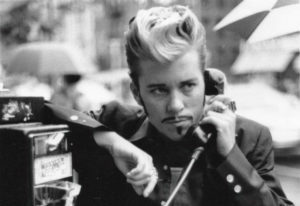 After attending IDKE (International Drag King Extravaganza) and meeting Flare in October 1999 in Columbus, Ohio, I began to document the burgeoning drag king scene by creating “KING”, a self-published ‘zine. 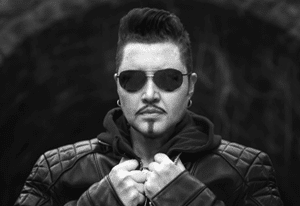 This grew into a larger project called Kingdom Magazine (with co-publisher Carlos Las Vegas) which covered the growth of IDKE and the world-wide Drag King explosion. Utilizing my professional skills as a web designer, and my experiences as a publisher and as a producer, I am excited to share this valuable and inspiring information with the World.